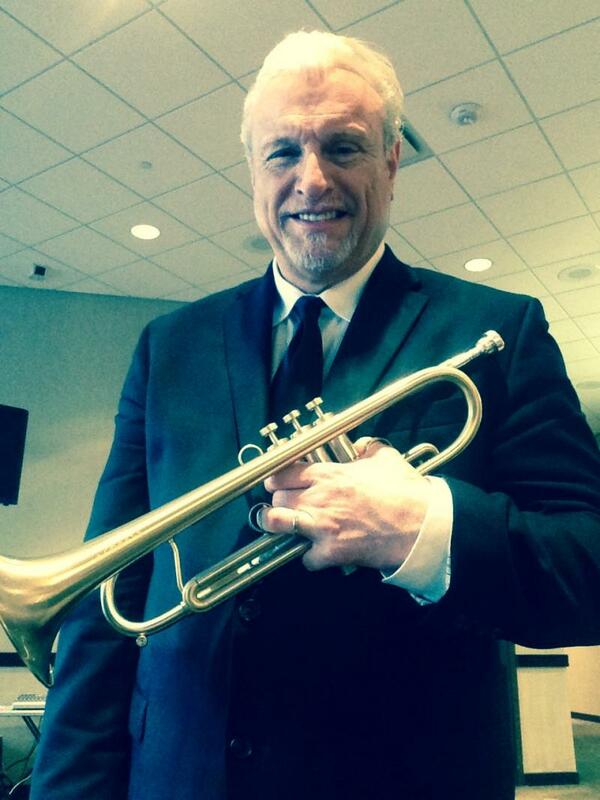 Jeff Carver is an extremely versatile trumpet and flugelhorn performer, educator and studio musician based in the Minneapolis-St. Paul, MN, market. He is a skilled balladeer…incorporating a smooth, dark tone with intuitive phrasing and style. He is well-schooled and highly experienced performing a variety of musical styles including Contemporary Pop, Jazz, Smooth Jazz, Latin, New Orleans, Blues, Funk and Soft Rock. Within the last couple of years, Jeff has started singing on his shows and is receiving extremely positive feedback to this new addition. 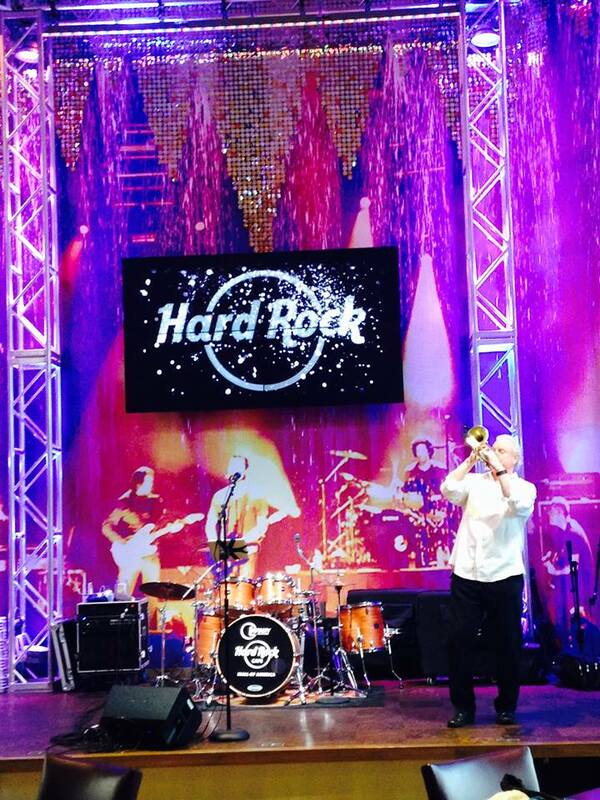 Jeff is also a skilled lead trumpet player and is known for his amazing strength and endurance while touring with the Emmy-winning singer, Shaun Johnson & The Big Band Experience. Jeff is featured singing and soloing with Shaun during almost every show. In addition to touring with the BBE, Jeff regularly “hits the road” as a solo performer. Whether performing with high-end backing tracks, rhythm sections, a big band/jazz band, or even a blues band, Jeff enjoys it all! His unique performing style, audience connection and passionate approach to music make him a “performers performer”! Jeff is also a passionate teacher and educator. He is a former award winning, high school band director, and currently owns his own private teaching business. In addition, Jeff provides high-energy, motivating and educational clinics for all ages of students, customized to focus on skills students require for success and happiness in whatever level of music they choose. When Jeff is not touring, he performs 15-25 shows per month with his very successful and unique “Solo Show.” With over 200 songs at his disposal, he is giving his multi-age audiences the up-to-date songs they are craving while introducing a new generation to musicians and hits from past decades. Jeff’s Solo Show is highly sought after for Weddings, VIP events, Galas, Special Occasions, and Private Dinner Parties. Jeff’s show can also be found at particular restaurants and rooms. A new concept that Jeff has been performing more recently are individual “House Parties.” Jeff comes to your house and can provide entertainment for your home event. Typically Jeff performs some cocktail music and then a short concert, filled with a wonderful selection of music and stories. However, you can customize an event with Jeff to however you want it to be! Contact Jeff to find out more! Jeff’s “Solo Show” Song List can be found on this website. At age 18, Led Own 6-Piece Dance Band Featuring Area Professional Musicians & Band Directors. Produced major public school live concerts by artists including Woody Herman and Maynard Ferguson. Prominently featured in Internationally marketed book on shopping center niche marketing and creative and profitable Food Court shopping center promotions.